More track workers blamed for what Metro had called faked inspection reports are getting their jobs back, after an arbitrator found the reports were done as Metro had instructed. 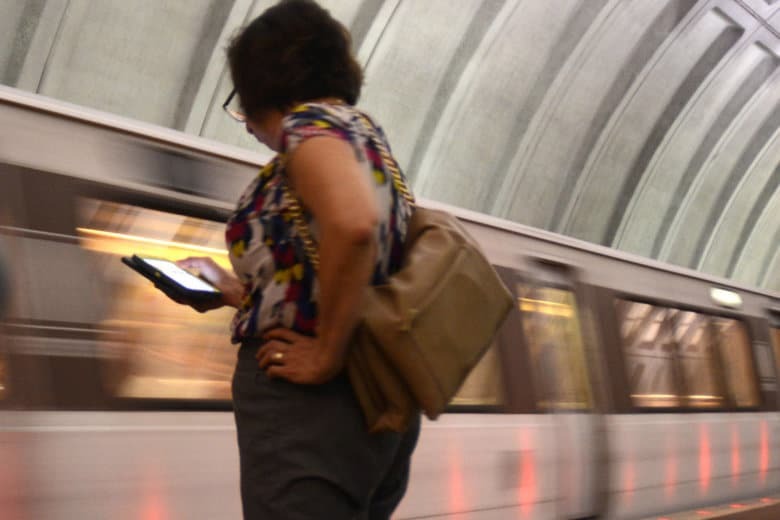 WASHINGTON — Track workers blamed for what Metro had called faked inspection reports are getting their jobs back, after an arbitrator found the reports were done as Metro had instructed. A court filing this week suggested Metro and five track workers who had filed a federal lawsuit over their firings reached a settlement in the case, and Metro and Amalgamated Transit Union Local 689 confirmed Wednesday that an agreement covers most of the at least 16 front-line workers and five supervisors who were publicly disciplined about two years ago. Three of the workers who challenged their firings are not covered by this settlement, but all others are expected to return to work, union spokesman David Stephen said in a statement. “WMATA and ATU Local 689 have successfully worked together and reached a resolution for nearly all of the grievances related to the track walkers terminated in 2016. The settlement includes a new level of safety and accountability and will utilize the expertise of the [formerly] discharged members,” the statement said. “Several” of the returning workers will return to track inspection positions once they complete Metro’s new training program that includes classroom and field work, Metro spokeswoman Sherri Ly said in an email. Other workers getting their jobs back will take other roles at Metro that they are eligible for based on seniority. The agency had also not properly trained inspectors or provided them enough time to do their work, which is what prompted the system’s new training programs. The new agreement also includes a tougher discipline policy in the event any reports are actually falsified. “As a result of a settlement of the majority of the grievances … ALL employees represented by the union in safety-sensitive positions are now governed by a new ‘one strike and you’re out’ termination for misrepresenting information or falsifying inspection reports,” Ly said in a statement. “This agreement represents an important joint effort by management and labor leaders to work together to improve safety and accountability at Metro,” she wrote. “Both Metro and ATU Local 689 believe this collaboration will improve safety, accountability, and fairness for the system,” the union’s statement said. The discipline in this case came after Metro opened an investigation into inspection and maintenance following a July 2016 derailment near East Falls Church that could have been prevented. No one was seriously hurt. Inspection reports had repeatedly noted failing rail ties through the area where trains can cross from one track to another, but also repeatedly noted the exact same measurements month after month and year after year. A wider investigation found similar issues elsewhere in the system. This fall, an arbitrator found those issues were tied to workers following the training that had been provided by Metro.